this place is good enough. and pounds per day per square foot of floor. for the browsers off the Charing Cross Road. God is a steady, unspectacular line. beyond psychology, sociology and yoga. Brentford, 1981. 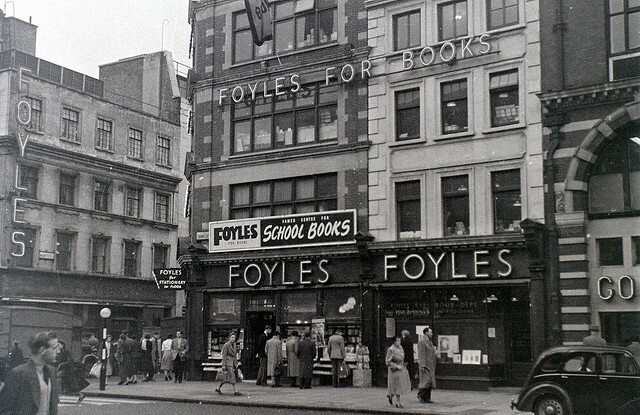 A period piece, wiritten at a time when Foyle's retained an air of the Dickensian. I was prompted to add it to the site for curiosity vale, prompted by Simon Jenkins' blog http://simonjenkins.com/entry/epiphany_in_a_bookshop/ .